Pneumatic Tube Sealing Machines|shrink packaging machines|manufacturers and Suppliers in Mumbai, India. Supplier & Manufacturer of Pneumatic Tube Sealing Machines. Our product range also comprises of Heat Shrink Tunnel Machine, Shrink Tunnel Machine and Shrink Tunnel Heavy Duty. We manufacture superior quality pneumatic tube sealing machines that works in pneumatic power. Moreover, our range of machine has flexible design, which is appropriate for medium production of sealed tubes, up to 7000tubes per day. 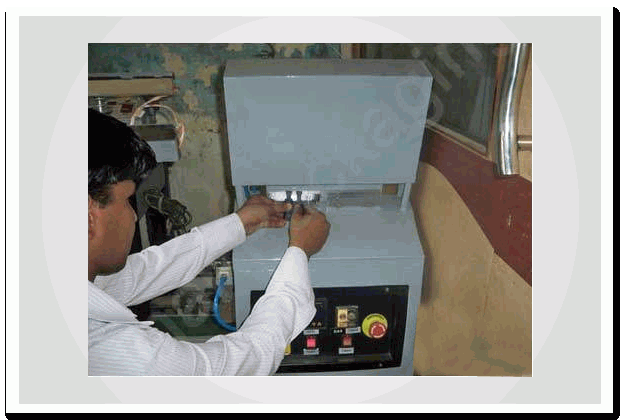 Moreover, our range of machines comes with a separate trimming station, which is provided near the sealing station. Further, these are manufactured from quality raw material that is procured from trustworthy vendors of the industries.